Let’s start this off by saying, I have 3 amazing blood sisters who I would do anything for – they’re my closest allies and am so grateful & blessed to have them in my life. Seriously, they’re incredible and I must have done something out of this world my past life to be gifted such pure, radiant, strong, intelligent and beautiful angels to fly with me this round. 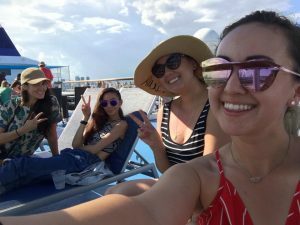 The truth is, however… I’ve traveled (and travel) – A LOT – for the work that I do, and have even moved to another country recently, so I don’t get to see my sisters as often as I’d like or need as of late nor do I know many people here. With that said, it’s been a rough part of my journey but a great reflection point. Though love in partnership is a magical thing, there is always this part of me that craves nurturing and love in ways that one can only describe and fall short as it is more of an emanating feeling. My life was ‘missing’ it – the companionship so pure and effortless that you just beam with glee at. So I set an intention. I knew there was a space in my heart, path, and life that wanted a best-friend again like that of my youth – a sister to cheer on and ride, heal & change the world with. And just when you know it, the Universe blesses you with an answer so clear. 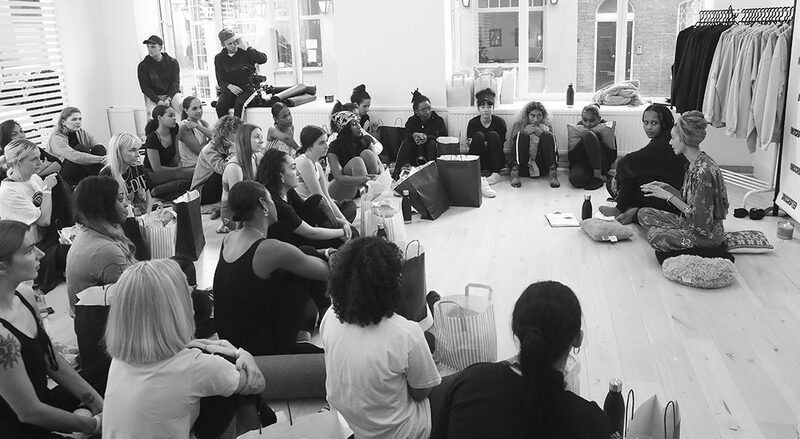 A few weeks back I was honored to be asked to do a meditation session in London, UK for a Mama Wellness event – held, organized, and powerfully executed by the one and only IAMDDB (who, if you’ve been keeping up with my stories, you know I absolutely adore and can’t stop speaking highly of as am so grateful for her BEING on this planet. Again, SISTERHOOD). As Diana (IAMDDB) introduced me, there was an undeniable feeling of freedom, gratitude, and alignment. It’s rare, but when you are in your flow and amongst like Souls/vibes – you KNOW it. You FEEL it. There is a beautiful resonance to every encounter, moment and exchange that fills you.. and this is what this event did. 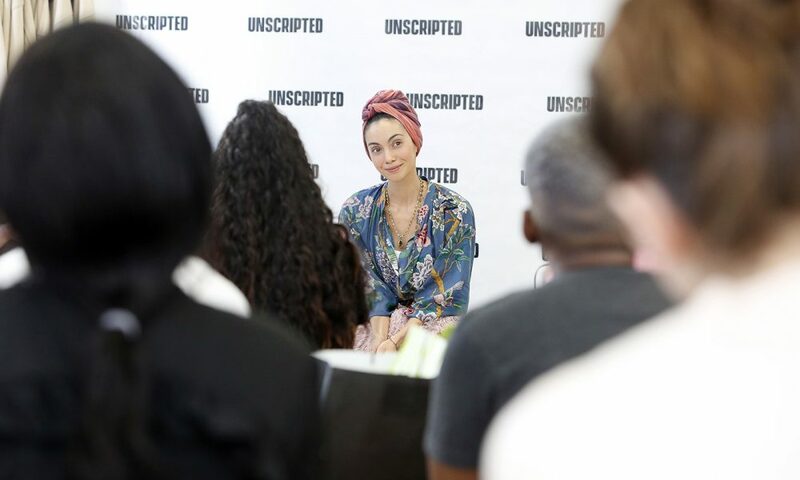 With no set script, I wanted to feel for the group’s energy and better understand what we, as a collective, were seeking, needing and asking for. We shared and listened, and as time ceased to exist – presence held the floor. Never before had I spoken with a group so open, pure and supportive as we did here. I went in with an open heart and allowed what needed to be expressed, to flow, and what needed to be released, to go. Again, it’s difficult to put into words what SISTERHOOD fully & truly is, but to me, it is a knowing deep within that you are supported, loved and forever growing & healing with those who love & care for your true being. In other words, it’s pure reciprocation – without expectations, competition, or motive. There were so many beautiful Souls there that day. Each of which were remarkable reflections of the girl I once was, the woman I am becoming, and the friend I so desire to be – unconditionally present & loving in essence and actions. I love each & every single one of you who were present. 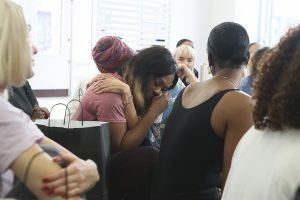 Beyond words, I am literally speechless when it comes to sharing my thoughts on that day – but wanted to be sure I said, you are all so beautiful, strong and kind. 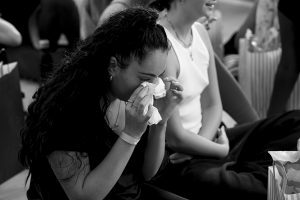 For attending, listening to one another, and passing around the tissue while passing no judgment – as we healed, together. And for all those who wished to attend but were unable to this round, trust that the Universe is aligning so much more! Reminder: A tribe is not only strengthened in numbers & love, but in its consistency & purpose. – So, clearly there is so much more love to go around and magic to be had! IAMDDB is truly a vibrant being. Looking forward to not solely her journey and story unfolding, but that of our own crossing, connection & Sisterhood.